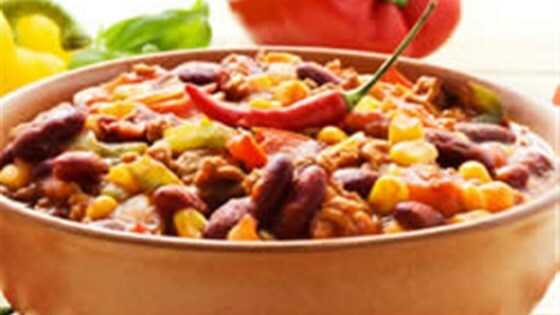 "Black bean veggie chili, richly spiced, can be ready for dinner or game day in only 30 minutes." Remove from heat and stir in cilantro (if using). Serve hot. When selecting canned beans for this recipe, choose from red kidney beans, black beans, chickpeas, navy beans, cannelloni beans or even lentils.